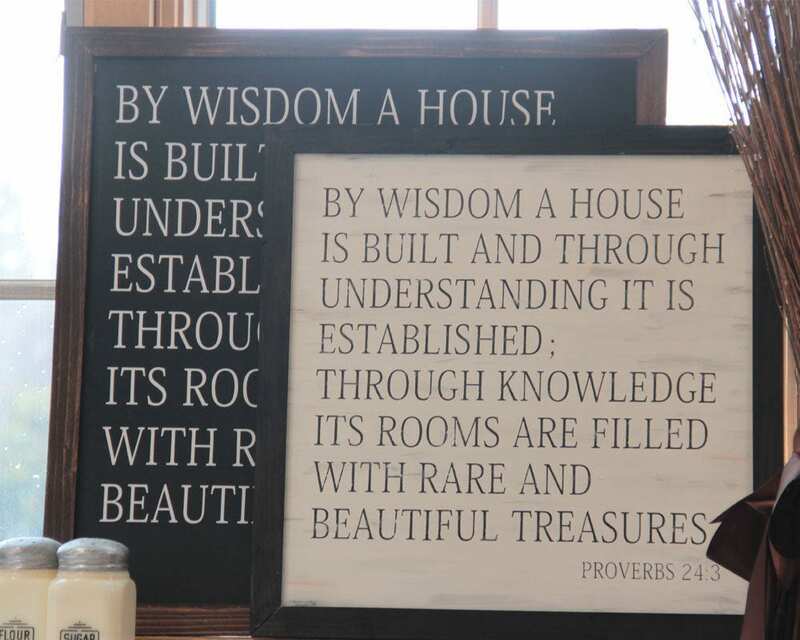 Proverbs 24:3 By Wisdom a House is Built Classical Conversations Homeschool Rustic Framed Sign for your Farmhouse Style Home Decor...perfect for Mother's Day, Housewarming, Birthday, Wedding, or Christmas Gift. Proverbs 24:3 is a timeless Bible verse that makes a perfect sign for your home, church, Christian school room or your very own homeschool room. It is the Bible motto verse for Classical Conversations and many homeschooling families have purchased this sign as a reminder of these principles. ⦿ Choose your color choice combo. As always, feel free to message me PRIOR TO ORDERING if you have any special requests. Just click on the "Request a Custom Order" link right below the listing's photo. Each sign is custom-designed, hand-painted, and slightly distressed. I manufacture each sign and frame here in my fully-equipped Pacific Northwest woodshop. My frames are well built using traditional joinery techniques. For your convenience, I have attached a hanger on the back of the sign. Because the frames are made of real solid wood each is unique. I just love seeing the wood's distinctive nature from its knots to its unique perfections and variances. It is simply a pleasure to watch the beauty of the grain appear before my eyes as I stain the wood. When your friends walk by your sign they will not only notice the intriguing message you have displayed, and the fine craftsmanship of your frame, but they will see that you have an original, hand-made, one-of-a-kind sign made especially for you.